How can Your Probation be Violated under California Law? It is crucial to always report to your probation officer per the terms of your probation. Under California PC 1203.3, if a probation officer has probable cause to believe that you have violated any term or condition of your probation, the officer may arrest you and bring you before the court or request the issuance of a warrant to secure your arrest. If you fail to appear for a scheduled probation hearing or fail to report to your probation officer per the terms of your probation, the court can also issue a bench warrant for your arrest. Upon your arrest, the court may revoke your probation if the interests of justice so require. If the terms of you probation require you to pay restitution to the victim or his or her family, failing to pay the specified amount can constitute a violation of your probation. Restitution is typically ordered by the court in cases involving theft or injury to the victim. If you are found to be in possession of illegal drugs or weapons either on your person or in your home, you can be found in violation of your probation. If the terms of your probation require you to participate in a rehabilitation program or perform community service, failure to do so can act as a probation violation. The terms of your probation may require you to report to a probation officer at scheduled times during the course of your supervision. A failure to report on these dates can constitute a probation violation. The terms of your probation may prohibit you from visiting certain areas or making contact with specified individuals. If you are found engaging in one of these prohibited acts, you may be in violation of your probation. If the terms of your probation require you to appear at scheduled court hearings, a failure to appear can act as a probation violation. The terms of your probation will almost always prohibit you from committing any further crimes during the course of your supervision. Committing a criminal act can constitute a probation violation. If your probation officer has probable cause to believe that you have committed a probation violation, he has the authority to place you under arrest and bring you before the court for a probation revocation hearing. A probation revocation hearing operates similarly to a criminal trial in the sense that you afforded the right to be represented by an attorney, the right to call witnesses on your behalf and the right to cross-examine adverse witnesses. However unlike a full criminal trial, a probation revocation hearing is much shorter in duration and the judge, rather than the jury, determines whether or not you are guilty of violating your probation. In addition, the prosecution must prove by a preponderance of the evidence (more likely than not) that you violated probation. This is a lower burden of proof than a typical criminal trial in which the prosecution must prove every element of the crime beyond a reasonable doubt. Our lawyers are available and ready to serve you. Call us today. If you or someone you know has been charged with violating probation in California, you need to contact an experienced criminal defense attorney who is dedicated to giving you the best representation possible. With offices in Orange County, Los Angeles, San Diego, San Bernardino, Riverside, Ventura, Victorville and West Covina, Wallin & Klarich has successfully represented clients facing prosecution for probation violations in California for over 30 years. 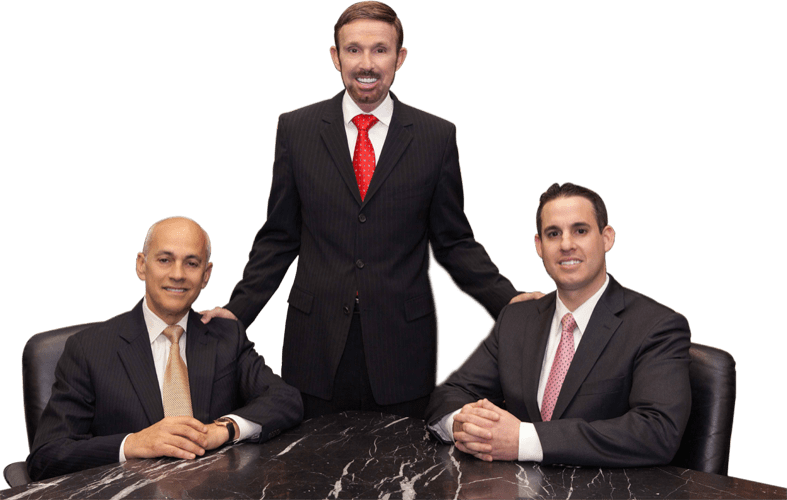 Drawing from our extensive experience, our talented defense lawyers will thoroughly review your case and develop an effective defense strategy to win your case. Call Wallin & Klarich today at (877) 4-NO-JAIL or fill out our confidential form. We will be there when you call.